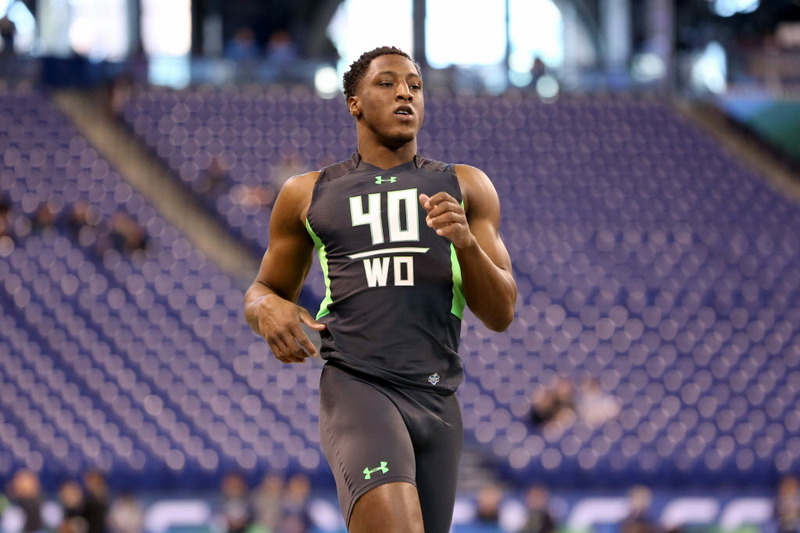 Mailbag: Why did receiver Michael Thomas slip into 2016 draft's second round? Saints receiver and No. 1 option Michael Thomas has surpassed the Vikings’ top 2016 pick, Laquon Treadwell, by a mile in their two NFL seasons. Send any Vikings-related questions you have to @Andrew_Krammer and he’ll answer a few every Friday. AK: There are examples like this in every draft. Saints receiver and No. 1 option Michael Thomas has surpassed the Vikings’ top 2016 pick, Laquon Treadwell, by a mile in their two NFL seasons. But the Ohio State product wasn’t what he is now coming out of college. He was the sixth receiver taken in that draft class behind Corey Coleman, Will Fuller, Josh Doctson, Treadwell and Sterling Shepard. There were reported concerns about Thomas’ route running and work ethic, but he’s seemingly grown immensely in both areas in New Orleans, where he caught 104 passes for 1,245 yards this season. Meanwhile, Treadwell attracted the Vikings’ attention with long arms, strong hands and an aggressive blocking style. But they want to see more explosion off the line, which he hasn’t shown in the NFL. Treadwell also hasn’t been a large part of the Vikings’ game plans, finishing fifth on the team with 20 catches (35 targets) for 200 yards. The emergence of No. 1 receiver Adam Thielen certainly helps dwarf Treadwell’s presence in Minnesota. Do the Vikings have enough offense. I feel there hasn’t been a lot of deep balls being thrown, offense feels conservative. I know our defense is great, can our offense answer? AK: The long ball has dried up a bit for the Vikings, but it hasn’t really been a staple of the Case Keenum-led offense anyway. They do need more “explosive” plays, or gains of 20-plus yards, after producing just five in the last two games. That comes from the effectiveness of the screen game, which has suffered without mobile center Pat Elflein. Elflein’s return from a shoulder injury on Sunday should help running backs Latavius Murray and Jerick McKinnon find more room, and possibly give coordinator Pat Shurmur more confidence to call those plays. Overall, yes, the offense has been relatively conservative, relying on yards after the catch from the likes of Thielen, Stefon Diggs, etc. That’s, in part, because the Vikings do surrender some of the most pressure on the quarterback; Keenum’s evasiveness has kept them out of most trouble. When we see Alvin Kamara line up as a receiver, ideally, who is covering him? Under what circumstances are we at a huge disadvantage? AK: The Saints are starting to deploy Kamara more as an outside option, lining him up as a receiver for an average of 12 snaps in each of the last three games. New Orleans can put Kamara, the shifty 5-foot-10-inch back, wherever they want, so the Vikings won’t get the choice of who’s covering him all the time. Even so, the NFL’s No. 1 defense has a handful of defenders capable of keeping up from linebacker Eric Kendricks to safety Harrison Smith. If the Saints can get Kamara in space against the Vikings’ third linebacker, Ben Gedeon, or slot corner Mackensie Alexander, things could get dicey.